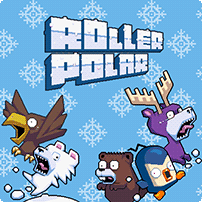 Roller Polar is now out on our website! What is you high score? Our current highscore on iOS is 120 and on Android it's 113... are you up to the challenge of beating either of those? Well, have fun and happy gaming everyone!